Created by celebrity stylist and “BrowGal” Tonya Crooks, this cedar highlighter pencil comes in two shades to complement your unique complexion. Each has two ends—matte (to cover blemishes or hair regrowth) and shimmer. Use shimmer to highlight and accent the arches of your manicured brows while making them look fuller. Both colors are beautiful. Works under or over other products (foundation, powder). Subtle but effective highlighter. Gotta admit I use it to cover a beauty mark on my cheek too. Well-groomed eyebrows can make a huge difference in framing your face. With BrowGal’s eyebrow maintenance pencil, highlighter, and gel, you can have perfect brows every day. Founder Tonya Crooks has been a stylist to the stars for more than 12 years, earning her the nickname “The Brow Gal.” Her grooming tools and makeup let anyone have celebrity-perfect eyebrows. The Skinny Pencils are a three-in-one tool—pencil, spoolie brush, and one-turn sharpener. Made with cedar wood and a stiff lead, the pencil puts on natural-looking strokes that look like hair. The built-in sharpener gives a fine point in a few twists. Then the spoolie brush blends color and minimizes buildup. 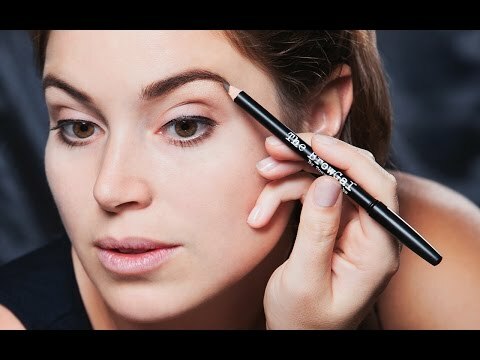 Use the Highlighter Pencil to bring those brows to life. The matte side covers imperfections and hair regrowth. And the shimmer side accents your brow shape and makes them look fuller. To finish off your look, the Eyebrow Gel keeps your work in place all day—it’s water- and sweat-resistant. One coat for light hold, two for medium, and three for “you’re gonna go swimming and nothing’s going to move” hold, as Tonya says. Celebrity status not necessary—no matter who you are, you can always rock your eyebrows.